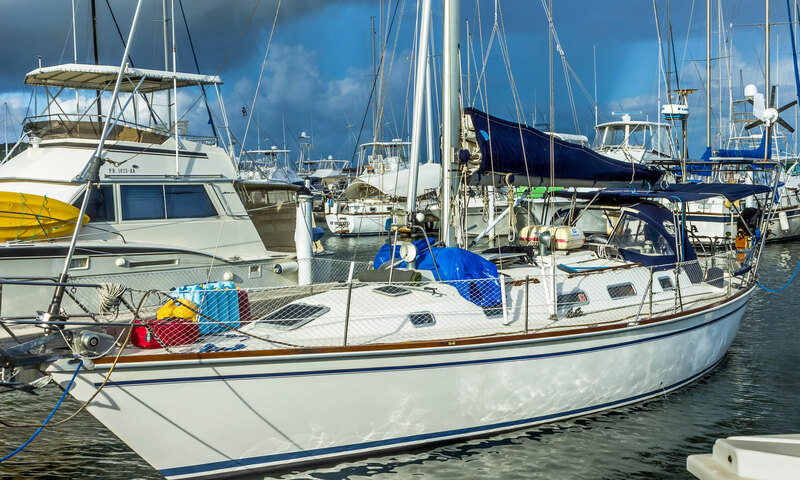 Welcome to this ever-growing gallery of some of the most popular production cruiser yachts under 30 feet (9.1m) long overall. 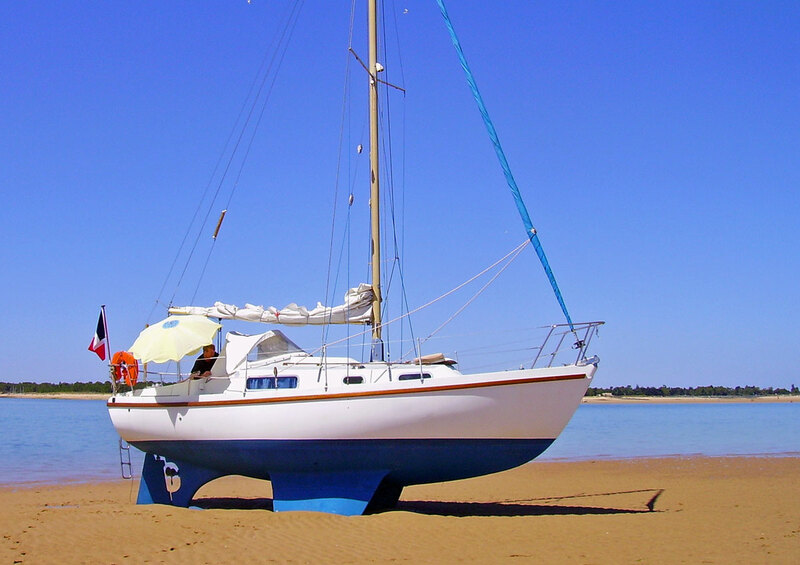 Small cruising boats like these are ideal for pottering along the coast but, properly equipped and in the right hands of course, are capable of impressive offshore passages. 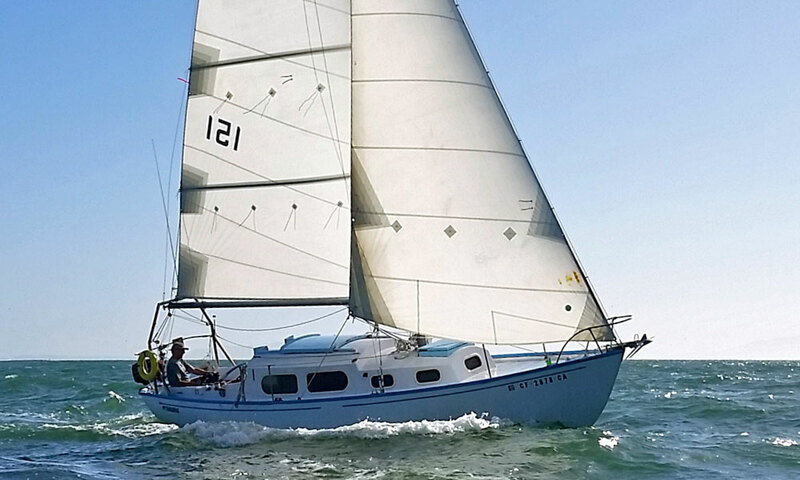 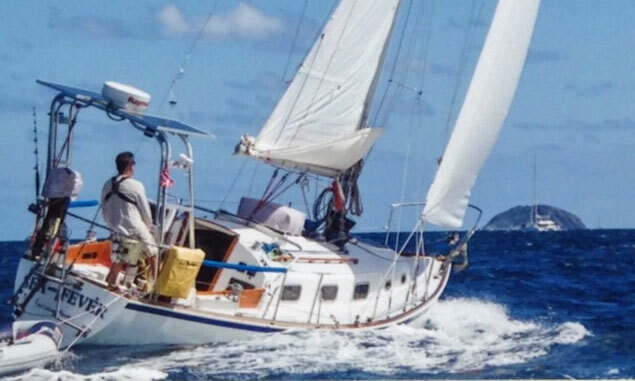 Many of the cruiser yachts in this category would be ideal for the single-handed Jester Challenge - in fact many have done just that, and those that have are marked with an asterisk*. 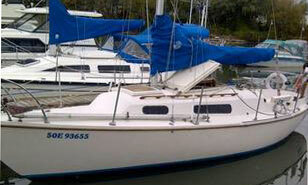 The Flicka 20, a diminutive pocket cruiser. 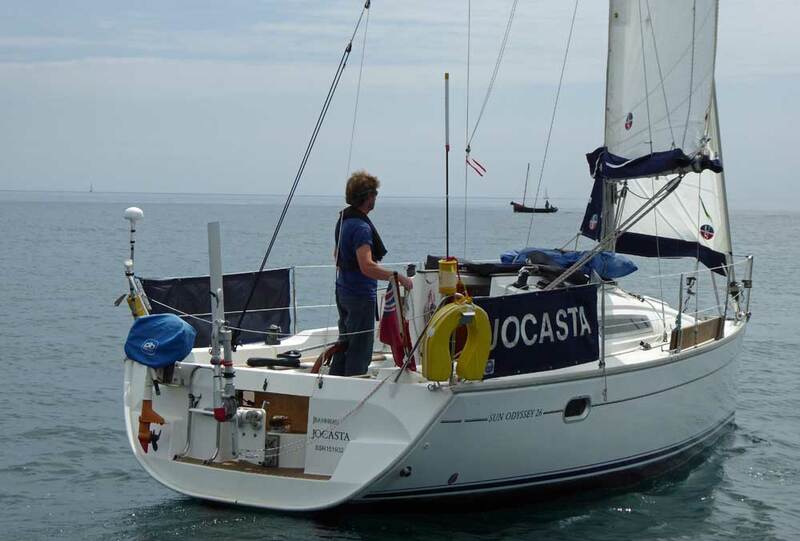 Many thanks to George Wenman for submitting this pic of his Eventide 26 'Valerie' alongside in Port Owen, South Africa. 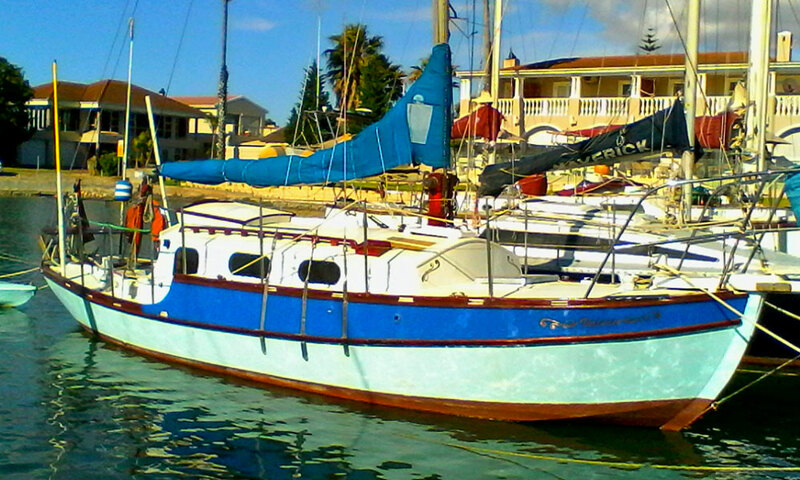 Many thanks to Stephen Fasciana for submitting this pic of 'Sea Fever'. 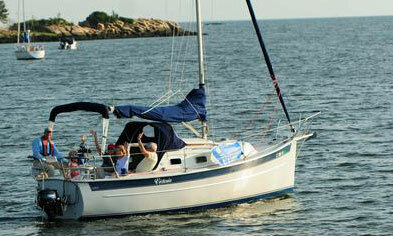 Many thanks to Dan Tisoskey for submitting this photograph. 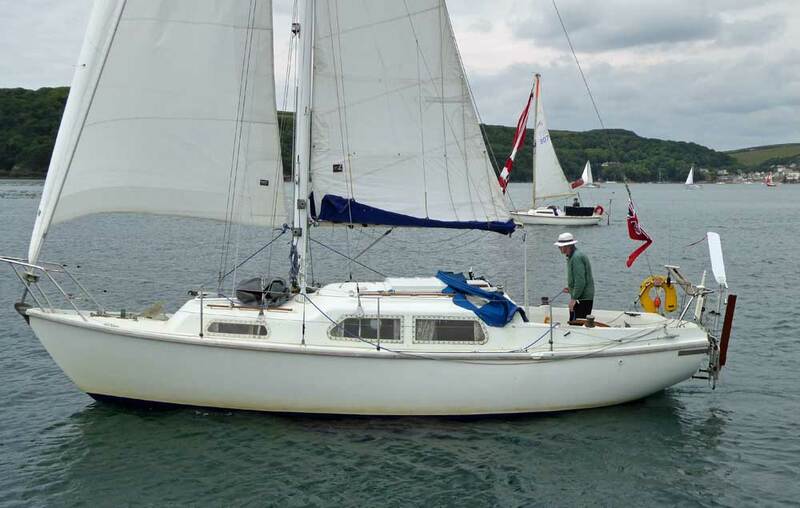 Year First Built:~ Mid 1970s? 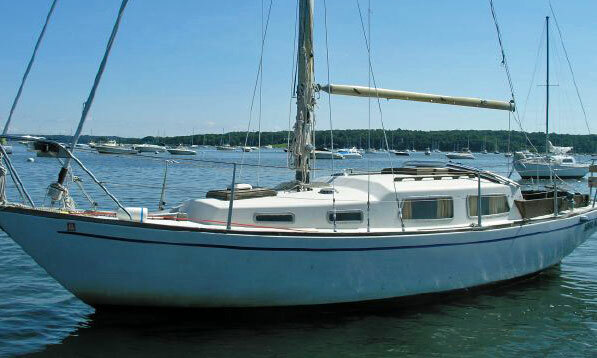 Apparently the boat is based on a Harwich One Design and was the forerunner of the Verl 27. 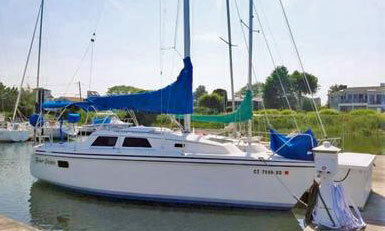 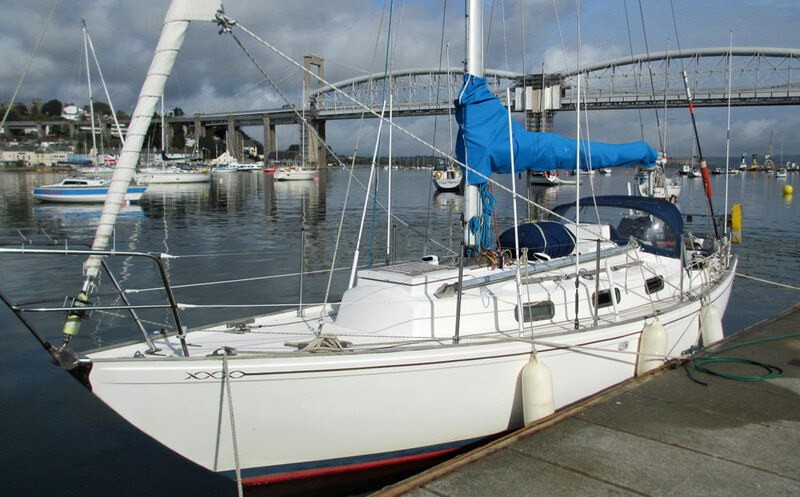 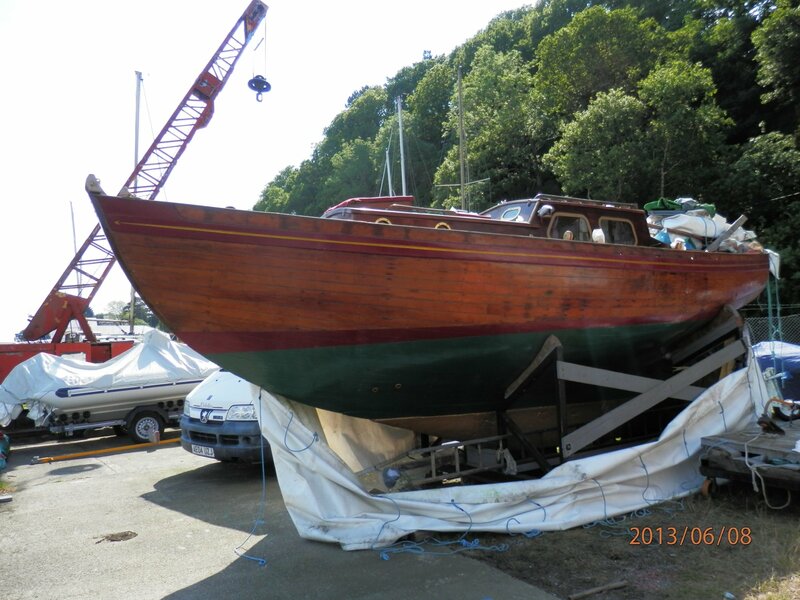 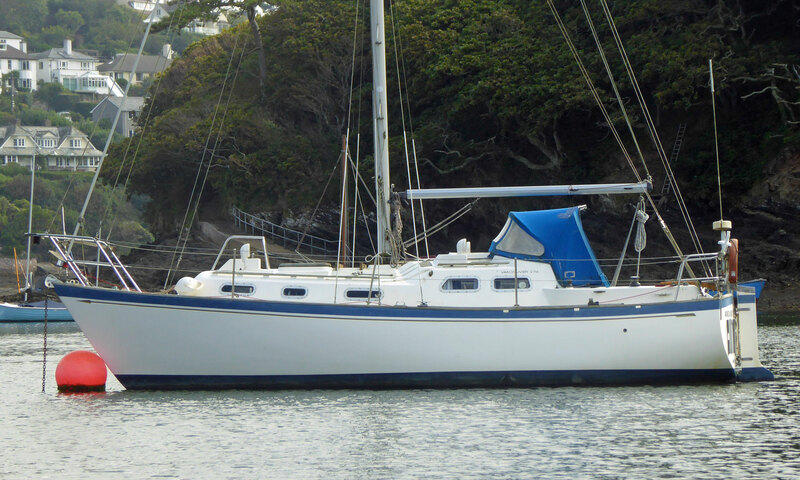 Many thanks to Terry Williams for submitting this photograph of his yacht. 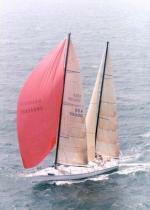 A masthead-rigged Varne 27 making good progress under full sail in kight conditions. 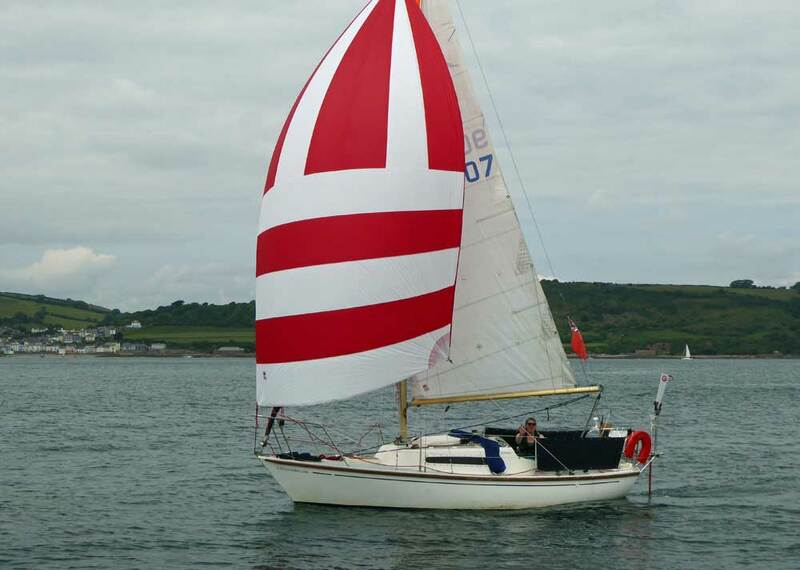 Many thanks to Phil Eccleston for submitting this photograph of his yacht. 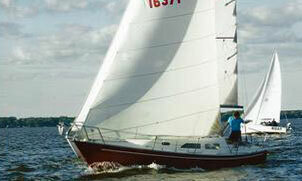 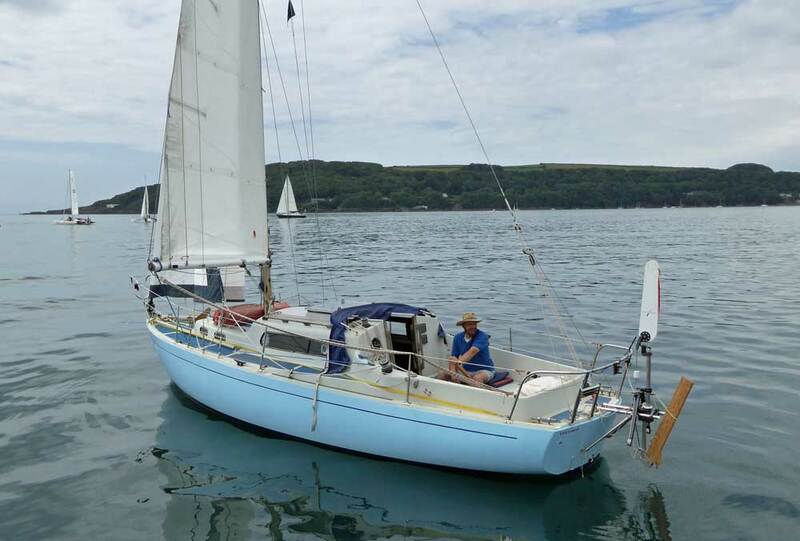 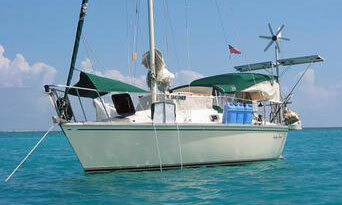 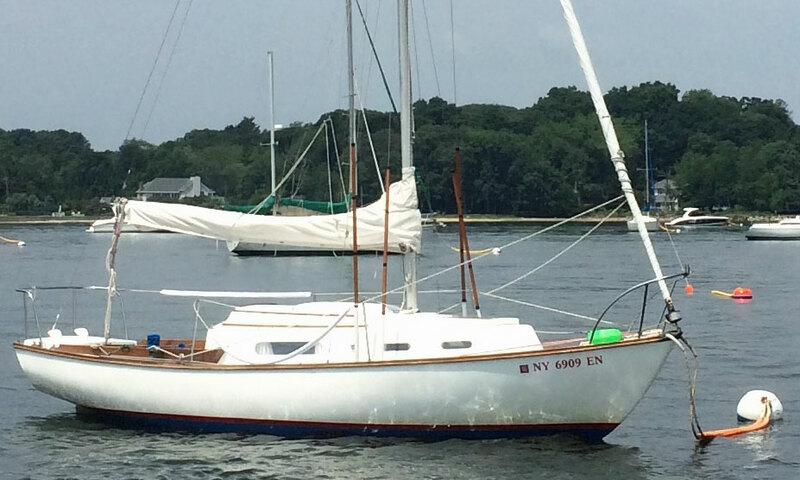 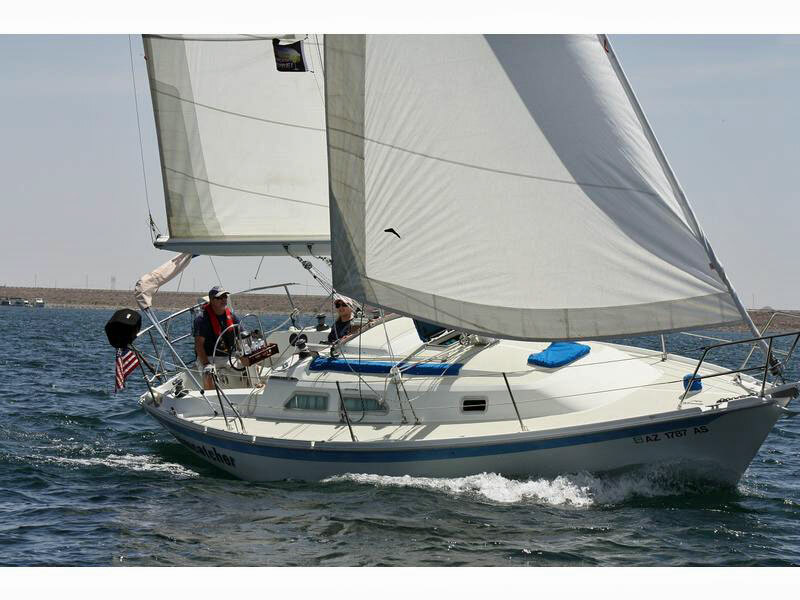 A Macwester 27 Sailboat, demonstrating how bilge keels can make perfect sense! 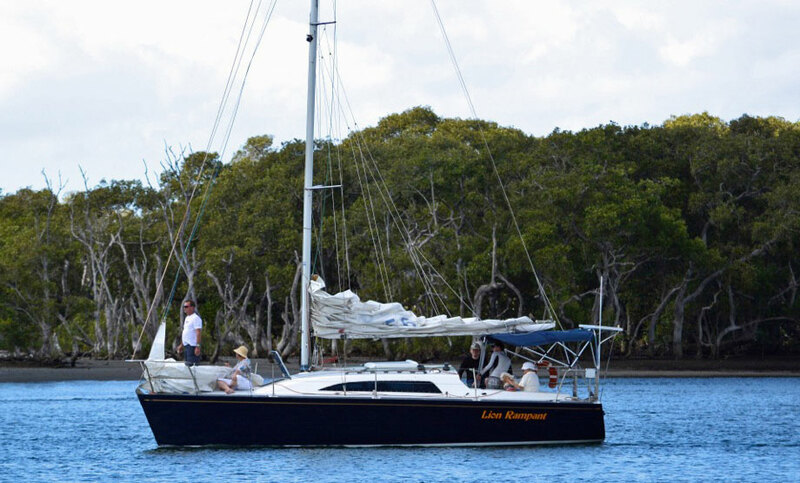 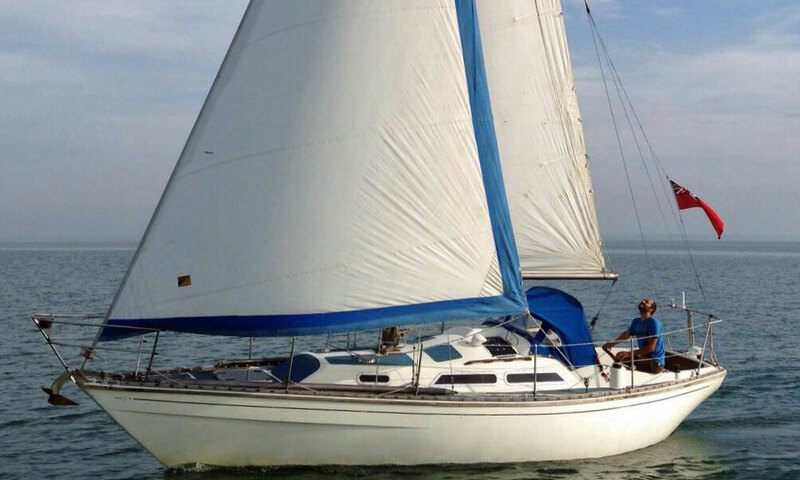 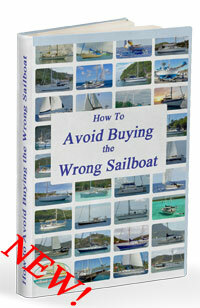 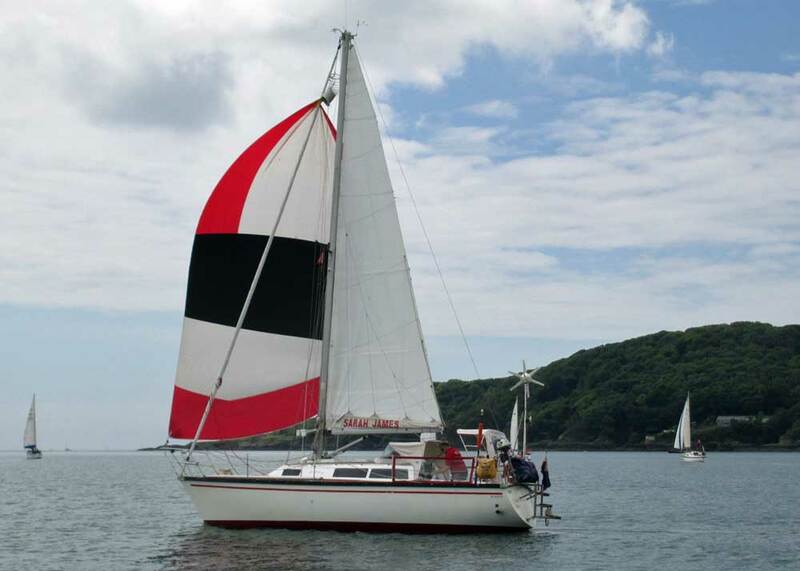 If you'd like to submit a suitable image of a cruising yacht (yours perhaps? 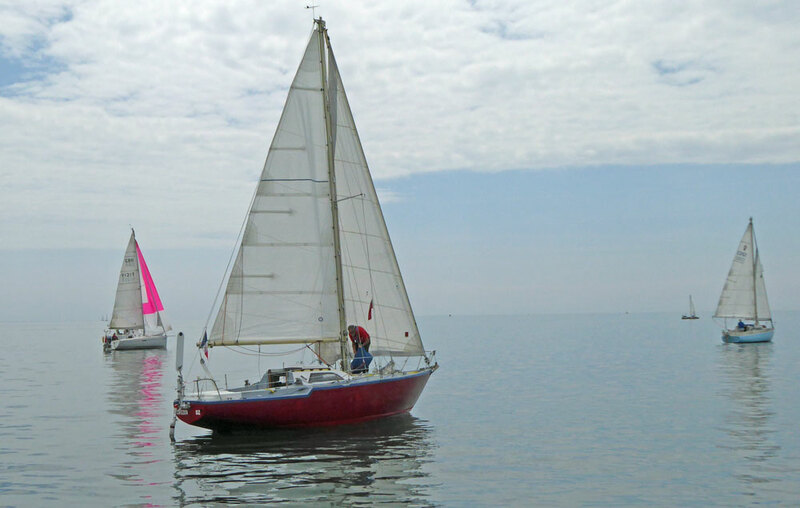 ), please click here to send your pic. 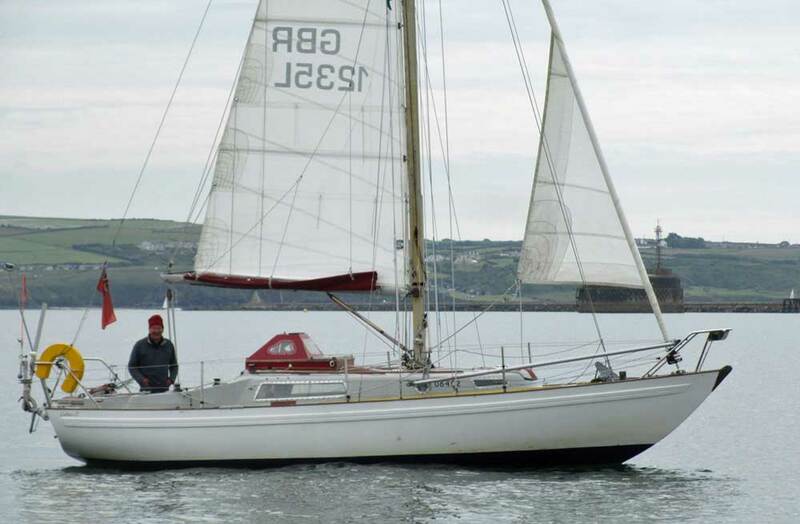 It doesn't have to be within this boat length category; if it isn't we'll move it to the appropriate one - and we'll do all the rest too. 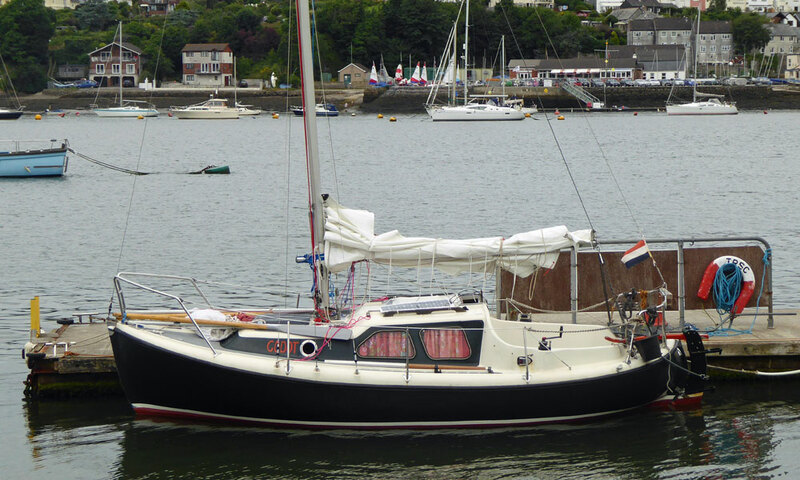 Essentially the same boat as the Frances 26, but built in the UK by Victoria Marine and renamed the Victoria 26. 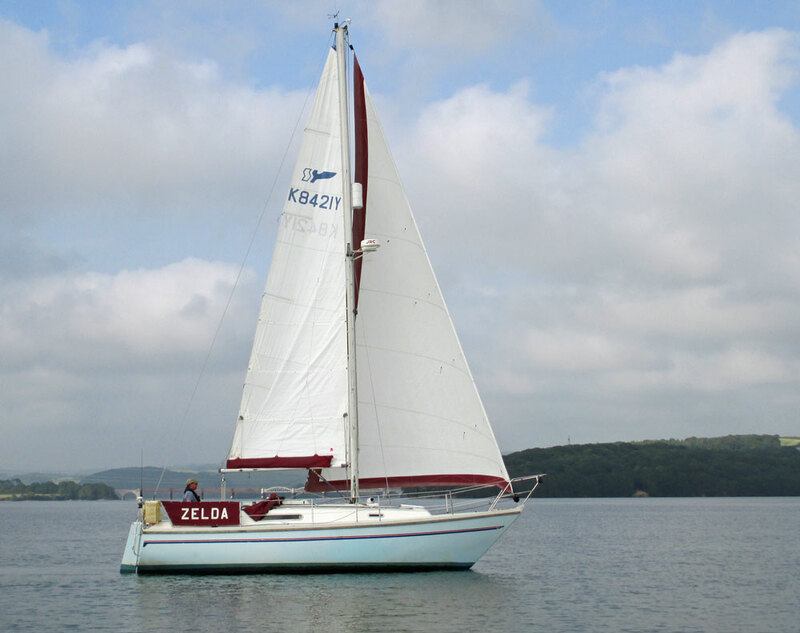 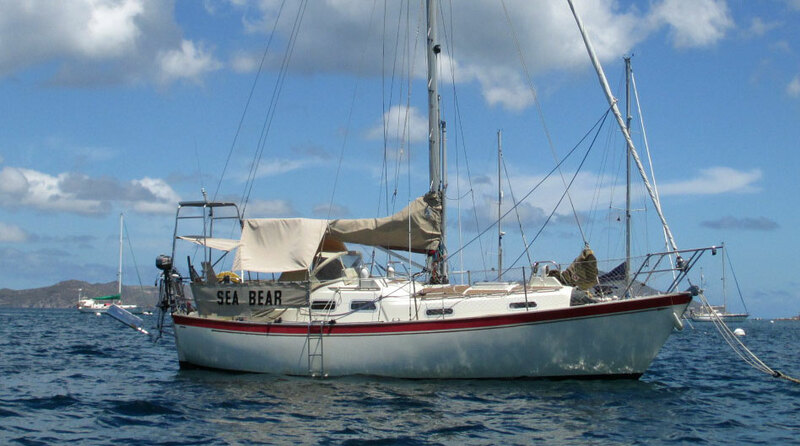 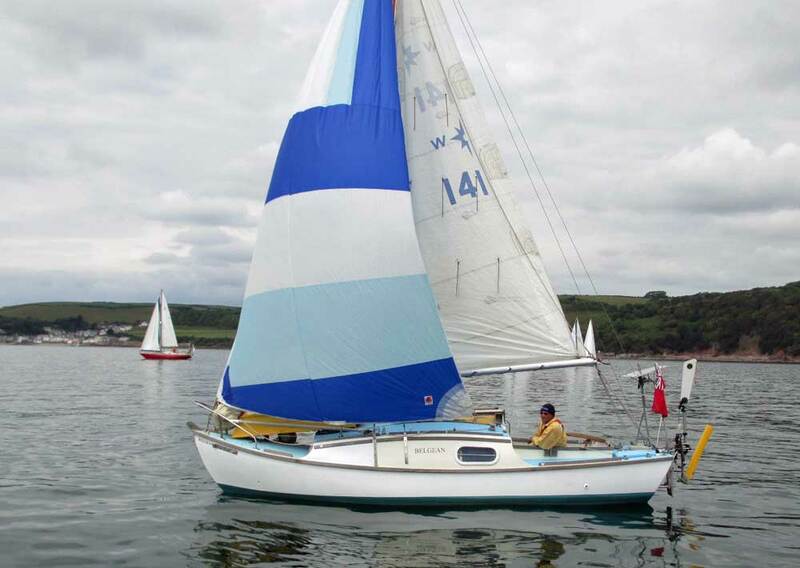 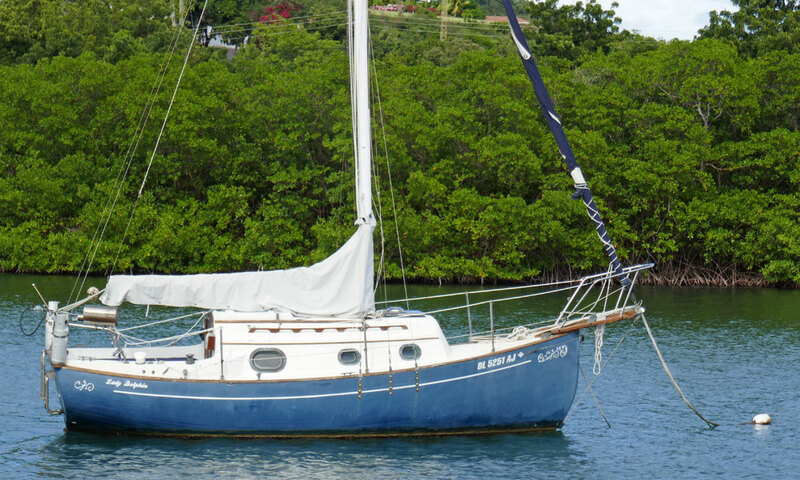 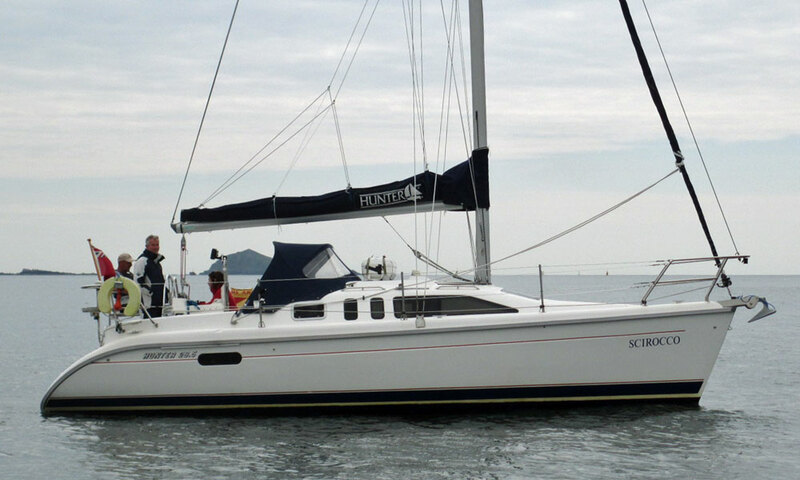 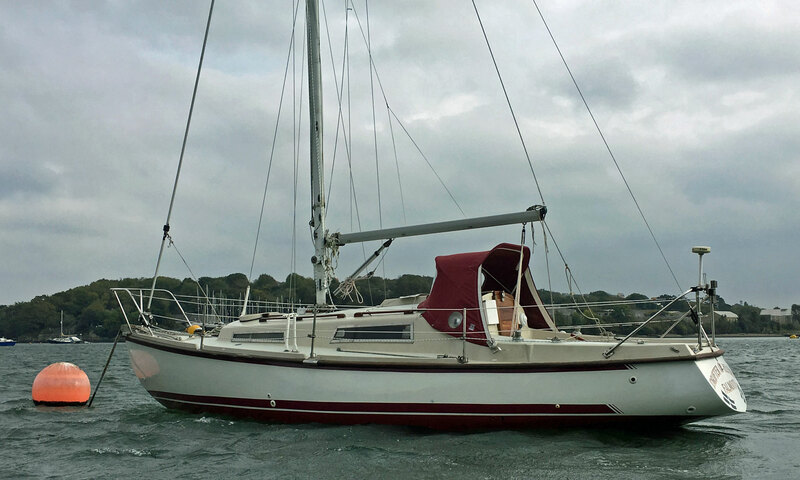 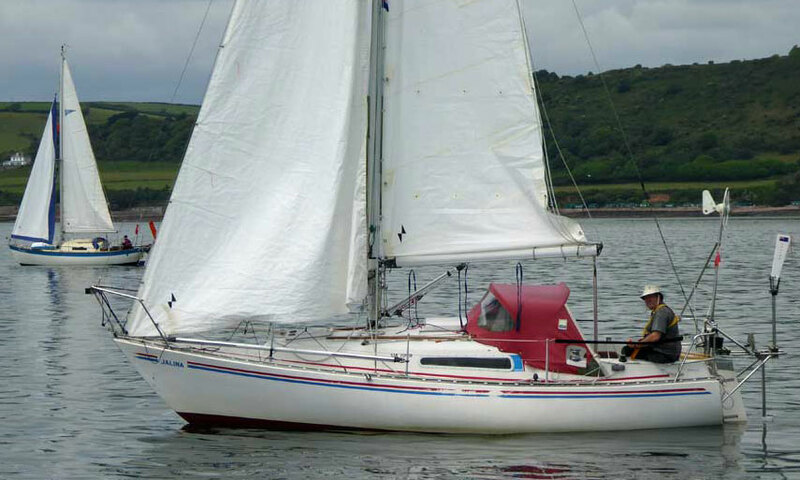 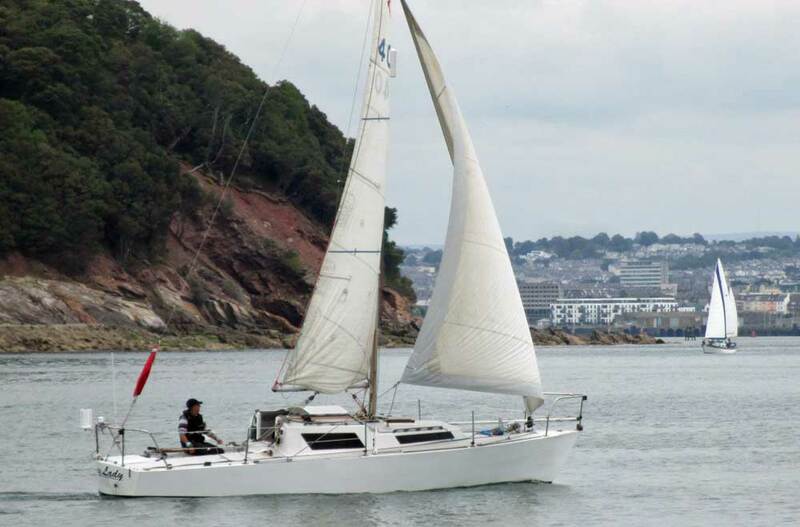 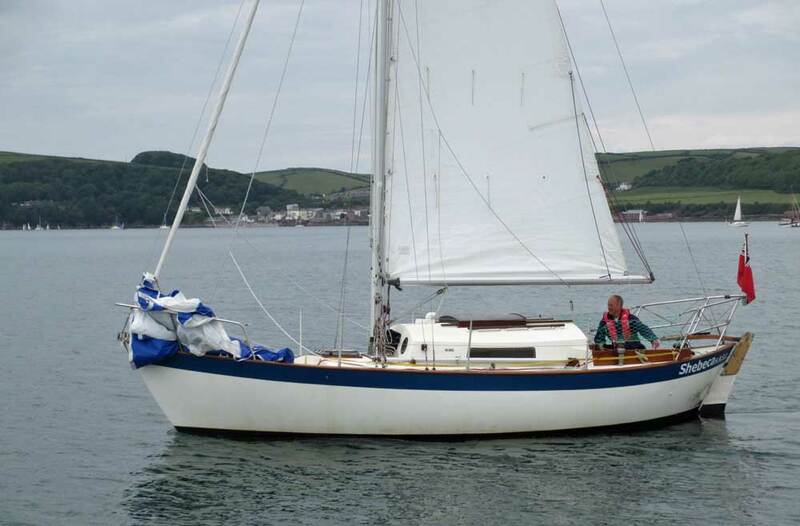 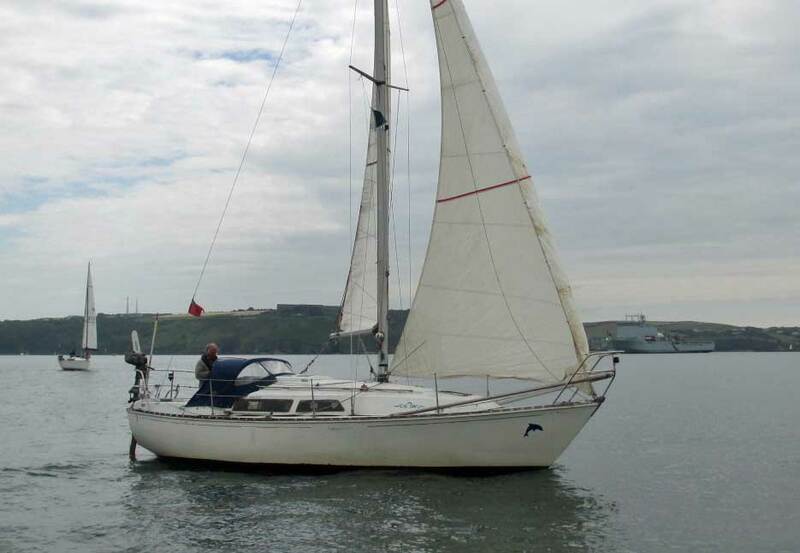 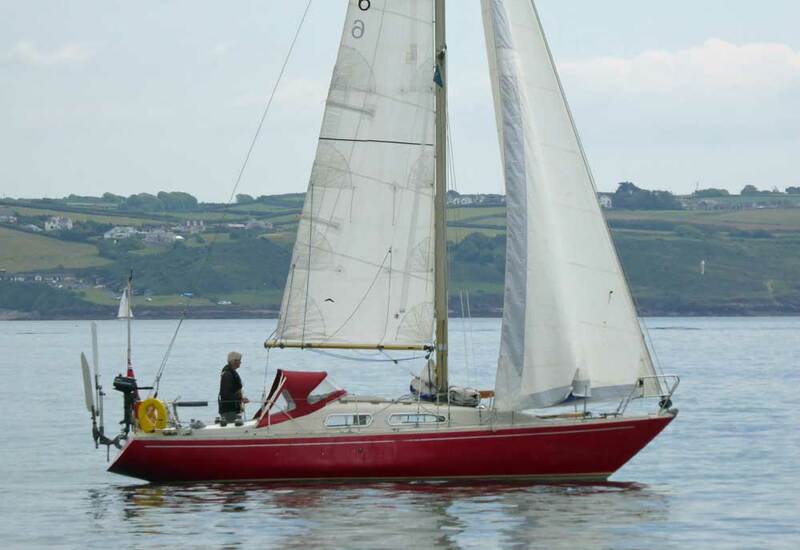 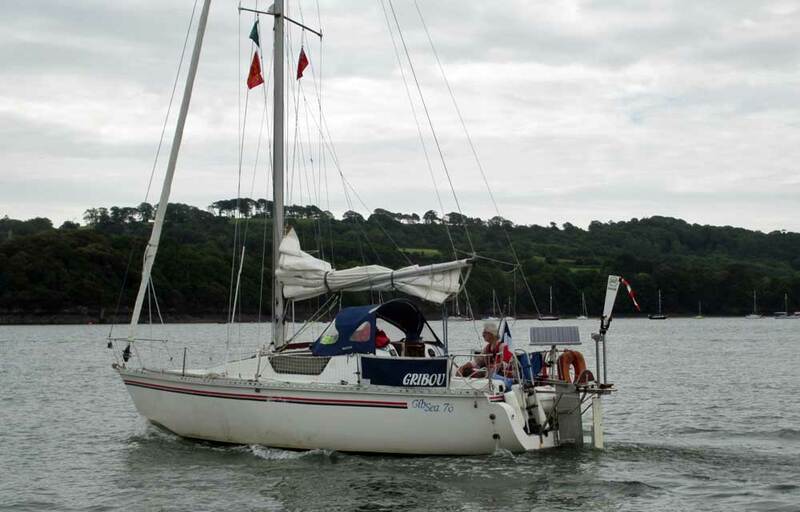 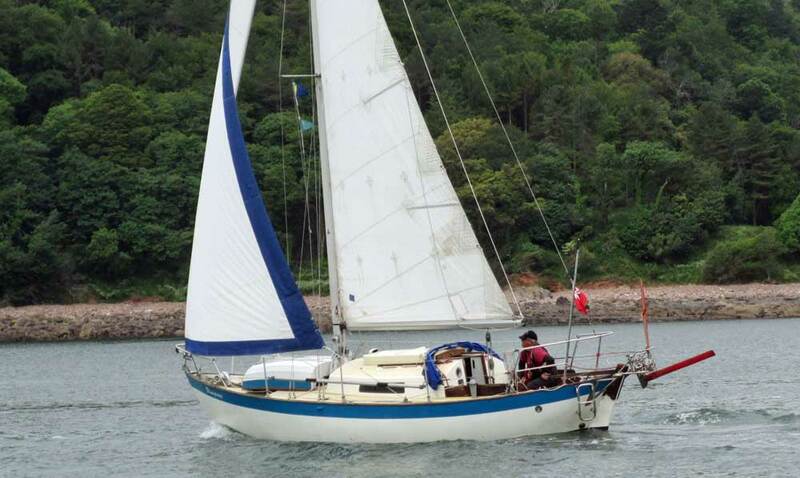 A modified version - the Sadler 25 Mk 3 - was produced in 1979 with a taller mast and consequential increase in sail area. 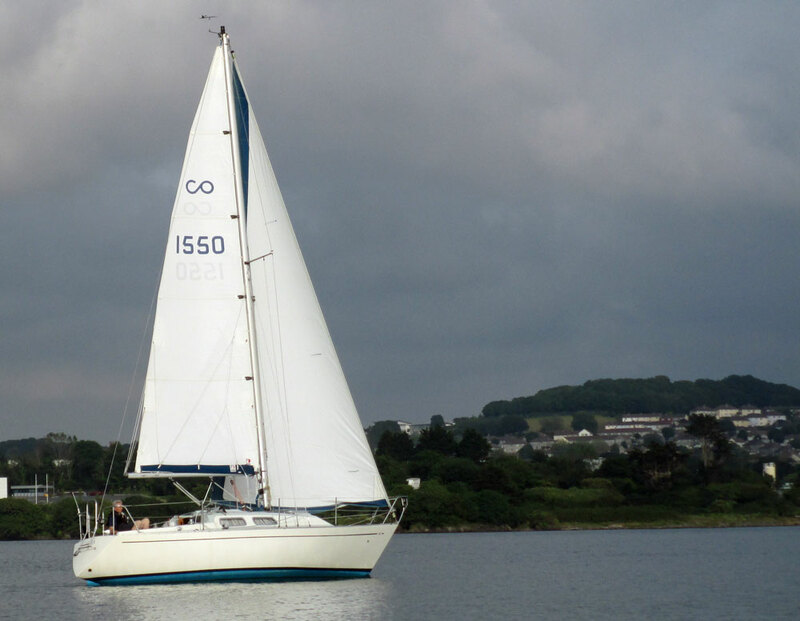 As a result the sail area/displacement ratio increased to 16.87 resulting in an increase in performance, particularly in light airs. 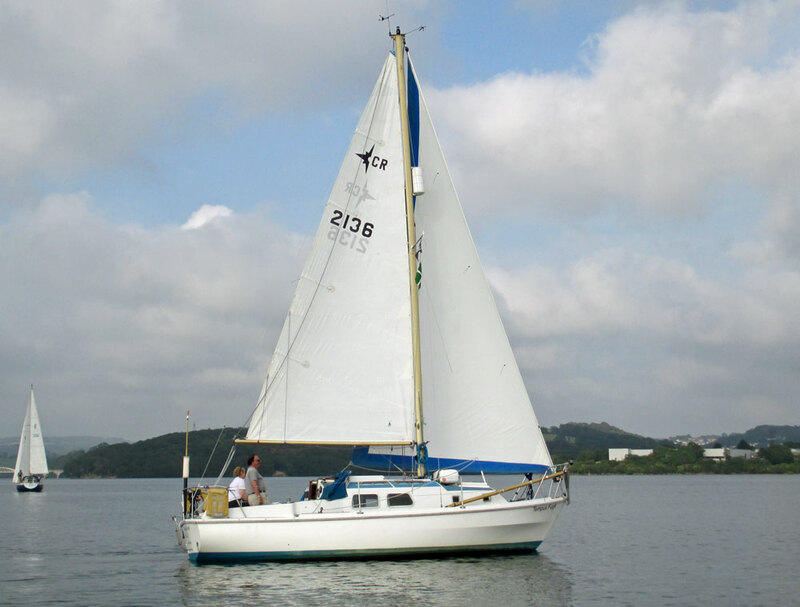 The differences between the two is that the 28 has a semi-balanced rudder, a slightly lengthened stern and marginally higher topsides. 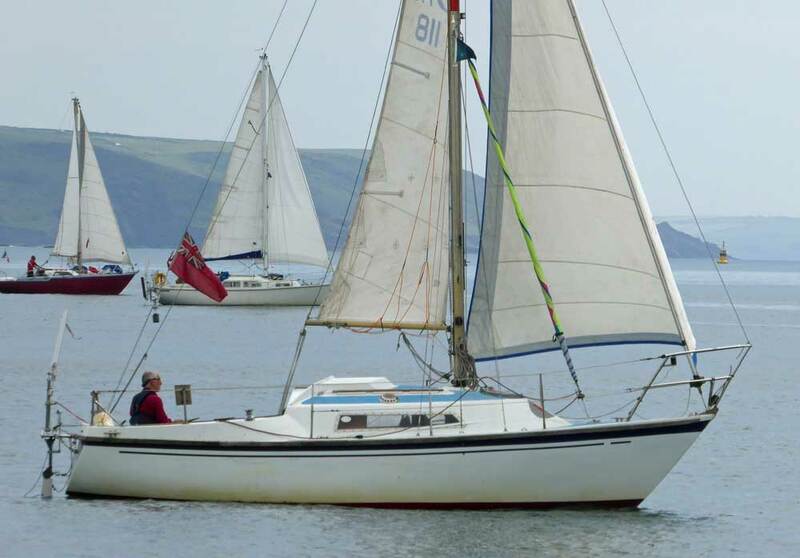 The Bristol 24 was produced in two versions; a 'standard' version with two berths in the saloon, and a 'dinette' version with a quarterberth.